The mom acts as her son's guide dog. 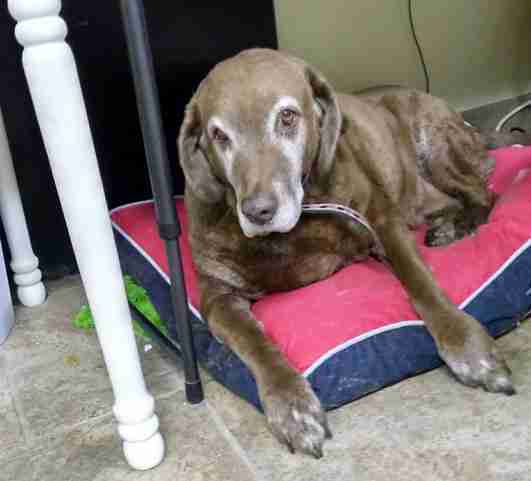 The best friend of a 10-year-old Chesapeake retriever named Jake is his mom, Maggie. 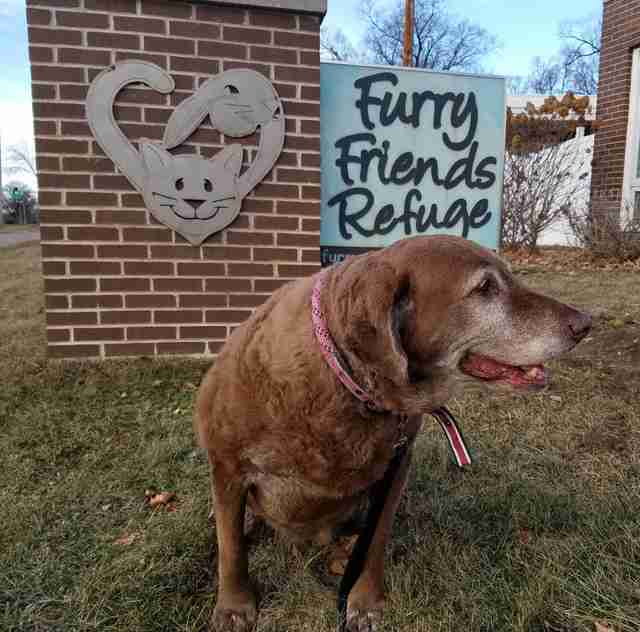 The two dogs share a kennel at Furry Friends Refuge, a no-kill shelter in Iowa, and Jake depends on his mom in a special way — Jake is blind, and Maggie acts as her son’s guide dog. 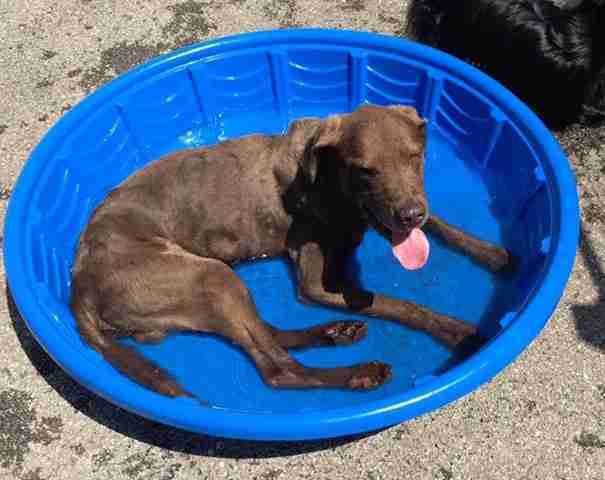 “Jake is really good at following other dog’s leads, and because Maggie is his mom, and she’s been with him his entire life, he likes to follow her lead the best,” Sayde Scott-Hainchek, communications and development director for Furry Friends Refuge, told The Dodo. 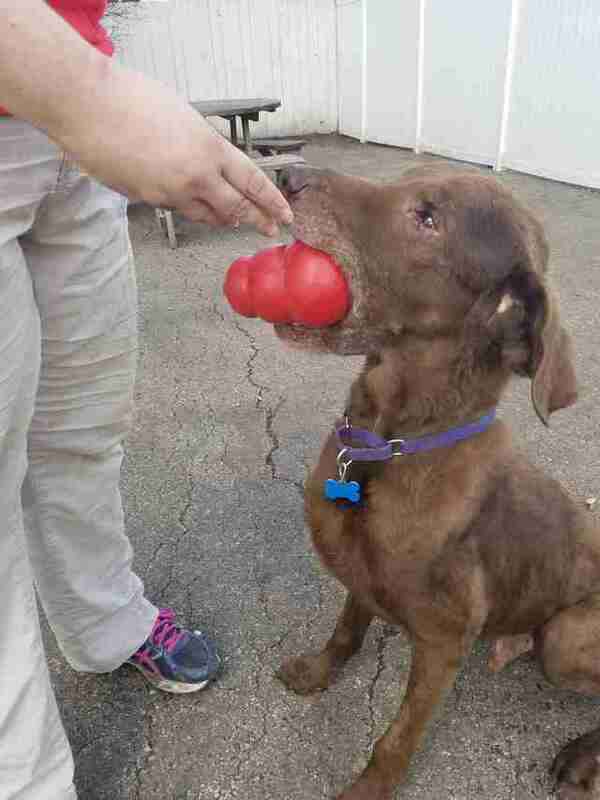 While their relationship might seem pretty incredible, Maggie wouldn’t be the first dog to recognize that another dog is blind and learn to care for them. A dog can pick up on another dog’s disability, and if the dog is the nurturing type, they might choose to become a seeing-eye dog for the other. But this dynamic duo does lack one big thing — a home. 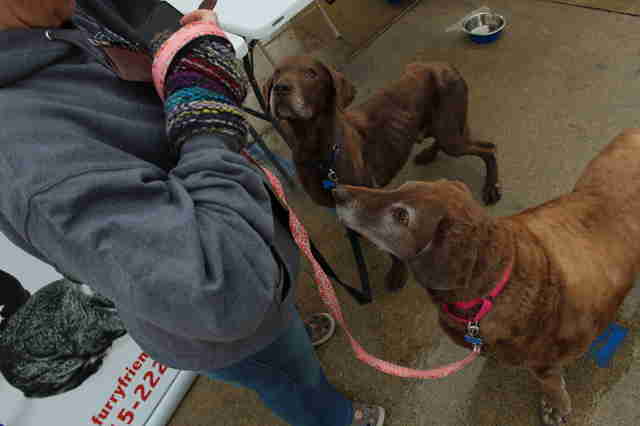 Jake and Maggie arrived at Furry Friends Refuge last December after their former owner passed away, and they’ve been searching for a new home for the last six months. Another thing that might scare away prospective adopters is Jake’s diabetes — but the shelter’s staff said they’re able to assist. 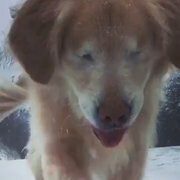 Jake might be blind, diabetic and senior, but he also loves acting like a playful puppy, Scott-Hainchek said. 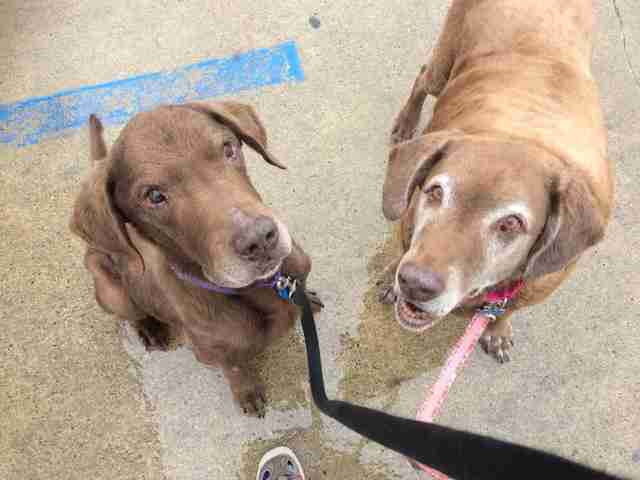 Jake and Maggie are also very sweet dogs, and they’d make great companions in any kind of family, Scott-Hainchek said. 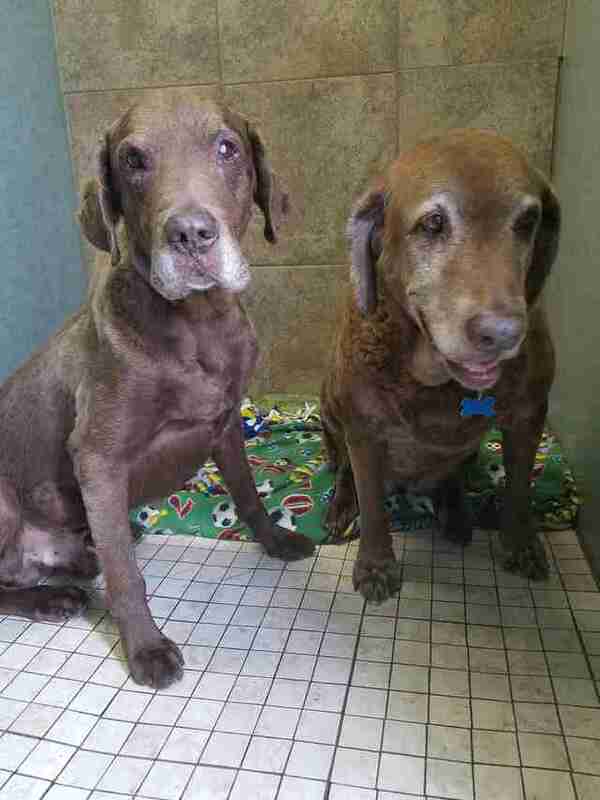 If you’re interested in adopting Jake and Maggie together, contact Furry Friends Refuge.